Since 1994, a leader in the representation of condominiums, cooperatives and homeowner associations. Why hire us? Our focus has always been on community associations. We are set up to quickly provide the legal advice and services that boards need, whether it be taking swift action to collect unpaid monthly charges, interpret governing documents, steer through bankruptcies and bank foreclosures, or offer creative solutions to resolve the countless issues that arise with homeowners and contractors. Our decades of experience means that there are rarely issues that we have not already dealt with numerous times, which puts us in a position to promptly give advice and provide effective service that is difficult for other firms to match. What’s in it for our clients? 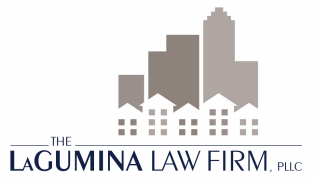 Our clients benefit from our experience by having counsel that is already very familiar with the many aspects of community association law and has seen, first hand, how courts deal with disputes. Valuable time is saved and our clients get realistic answers and legal services that have been tried and tested. We understand very well our clients’ goals of efficiently managing their properties, and our advice and services are geared to helping our clients achieve this end.